portobello / parm / béchamel. 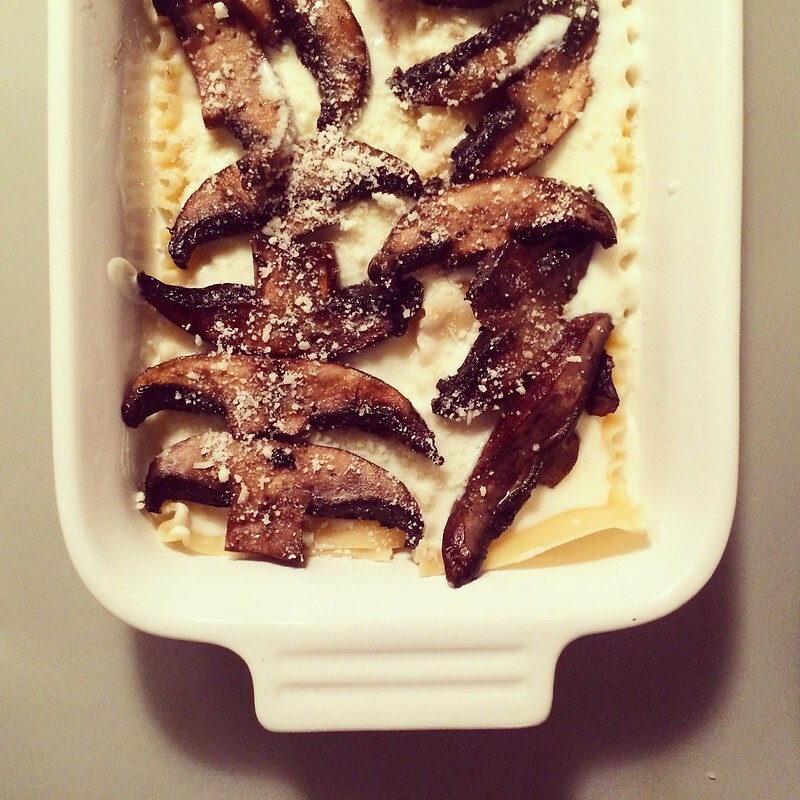 One of my favorite dinners–portobello mushroom lasagna. There are a number of steps–like sauteing your mushrooms in butter, making a béchamel, and putting the entire thing together. But let me tell you, it’s so worth it. Winter is coming here; it snowed yesterday. It’s time to start eating these delicious, comfort dishes. Next frosted alpine x 3.